"The 5-1 head to head lead for Halep bears little relevance given that she was a sub [1.50] favourite in five of the meetings - evidently there was a far bigger ability gap in those head to head matches than there is now." We had further joy on day nine as one of our outright picks, Caroline Wozniacki, got past Carla Suarez Navarro, and the Dane is now into the [3.60] outright favourite to win the event, in what is a fascinating tournament winner market with all six remaining players available at single-digit prices on the Exchange. Joining Wozniacki in the semi-finals is Elise Mertens, after the Belgian talent stunned Elina Svitolina in straight sets, and it's Wozniacki who is a solid favourite to make the final in their match. I'll be previewing Wozniacki vs Mertens the day before their match, so in the meantime, I'll be taking a look at the remaining two quarter-finals to be played at Melbourne Park on Wednesday morning. At midnight UK time, Angelique Kerber faces Madison Keys in what is a really interesting match-up given that both players are serve-orientated and should enjoy conditions. In the last 12 months on hard court, Kerber has held serve 74.5% and broken opponents 36.3% (combined 110.8%) while Keys has done so 80.7% and 34.3% respectively (115.0%), and therefore, based on these numbers, Keys' status as a [2.42] underdog looks baffling. However, Kerber has won six of their seven previous meetings, although we can discount the first three (Kerber won two) with Keys ranked around the top 50 or higher. Despite this, Kerber has won their last three meetings in straight sets and that does need to be respected. Even bearing this in mind though, my model priced Keys at [2.19] and therefore anything at [2.40] or above represents value, and Keys' price is on the value boundary here. Also on the value threshold is Karolina Pliskova against Simona Halep, and I like the Czech here at [2.10] for several reasons. Firstly, data suggests she's slightly the better player on hard court, with a combined hold/break percentage of 116.2% compared to Halep's 115.8%, and also that the 5-1 head to head lead for Halep bears little relevance given that she was a sub [1.50] favourite in five of the meetings - evidently there was a far bigger ability gap in those head to head matches than there is now. Furthermore, Pliskova should enjoy the medium-fast hard court conditions more, being more serve-orientated, and also has spend 394 minutes on court compared to Halep's 479, so far at the Australian Open. Avoiding accumulated fatigue in Slams is critical, and Pliskova should be slightly more fresh going into this match. 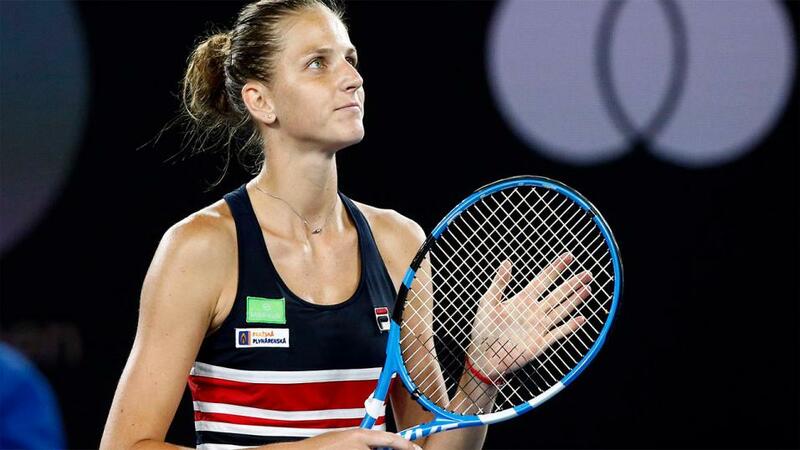 Therefore my recommendation today is Pliskova to win this match - we also have the outright selection on Keys to keep an interest on her - and my numbers indicate that she represents value at the current market prices.